There are some voices out there that will always be readily identifiable. During the deluge of 80’s hair bands and hard rock acts that flooded the airwaves, it was often difficult to identify a band without some help from the DJ. That was never the case with Jack Russell. The minute he opened his mouth, you knew you were hearing the latest Great White hit. However, that’s not all one can say about Jack Russell. Besides always being energetic on stage, perfectly on pitch and an all-around showman, Jack Russell is a nice guy. Whether he’s headlining an arena or a nightclub, Captain Jack is interested in meeting the people who made him the star that he is; the fans. And, he wants to see all of you when the America Rocks Tour rolls through your town. Infused with fan favorites like “Once Bitten, Twice Shy”, “Rock Me,” “Face the Day” and “Save Your Love”, the tour is set to amaze old and new fans alike. The air of excitement about the tour is infectious and Russell said that it was a brainchild between himself and his booking agent, Artists Worldwide. The idea for a big summer tour with artists from the 80s that have had staying power was one that appealed to him. Jack’s enthusiasm is contagious as he talks about his new band members, all of whom he has a history of performing with. Guitarist Matthew Johnson and Jack have a history in Great White as Matt was chosen to cover a void in the band due the departure of Mark Kendall in the 90’s. He also has writing credit on 1996’s Let It Rock for the song “My World” and performed on Russell’s solo album, Shelter Me. Johnson is a native Texan, hailing from the Dallas area, so he will be a big hit with the crowd at the DFW show at Tree’s on July 8th. Rounding out the guitars is “Shred Master General” Robby Lochner, whom many will remember from his days in Fight with Judas Priest vocalist Rob Halford. Bassist Dario Sexias is also well known in the metal world, having toured as a long term member of Firehouse and then later joining forces with Ratt vocalist Stephen Pearcy. Drummer Derrick Pontier has an impressive career that includes being sought after for workshops, teaching clinics and studio sessions. 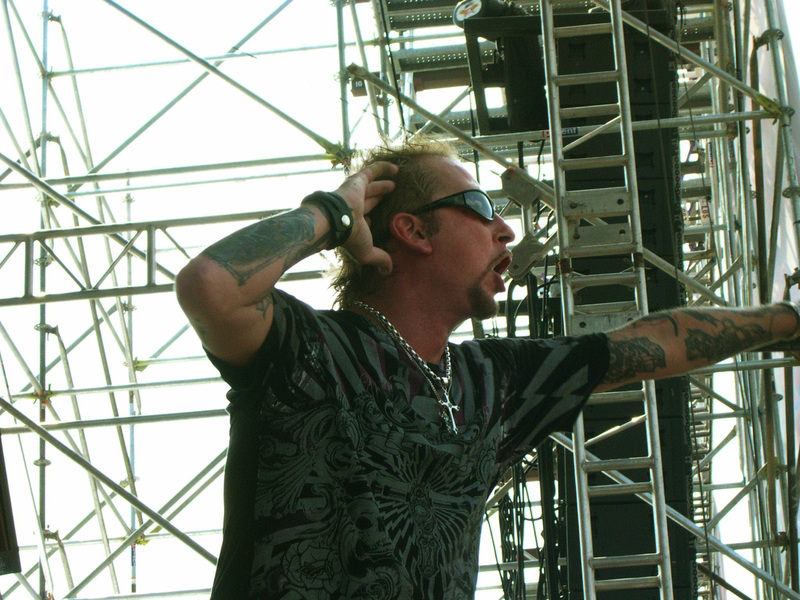 He has a history of performing with Great White in the early 2000’s as well as being involved with C.C. Deville’s Samantha 7 and an all-star act with Angel’s Frank DiMino and Stryper’s Oz Fox. A fresh start is the mantra for this tour. Unfortunately, Russell has recently dealt with debilitating health issues and legal altercations with his former band mates, who also insist upon the right to use the name Great White. However, confidence is a key part of Russell’s new lease on life and he knows that the truth will prevail regarding his history and association with the band name. From the first show in 1981, Russell has been a mainstay, band founder and focal point for Great White. Through multi-platinum albums, sold out world tours, and a revolving door of band members, he managed to keep the band going until 2001, when he decided it would be time to call it quits and pursue a solo career. He released his second solo album, For You, in 2002. “That album was different than Shelter Me. With Shelter Me, you could almost call it another Great White record. It had that tone and feel, but For You was not subject to so much of that influence. It had more pop inspired melodies and it was not really a heavy rock album,” he said. However, on the heels of the solo release came the demand for more Great White. Never one to disappoint his fans, Russell and former band mates once again joined forces to tour and record. 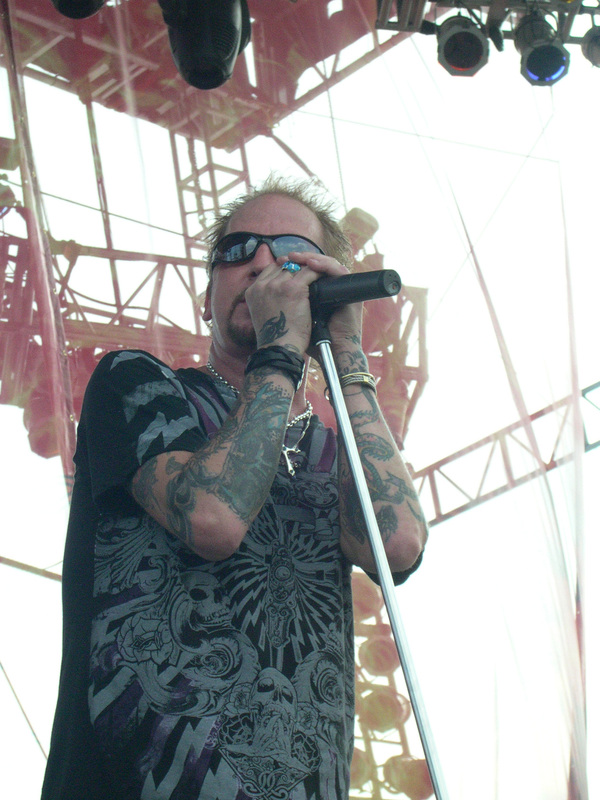 Over the next several years, the band toured, reunited their classic lineup in 2006, and in 2007 released their first studio album in eight years, Rising. 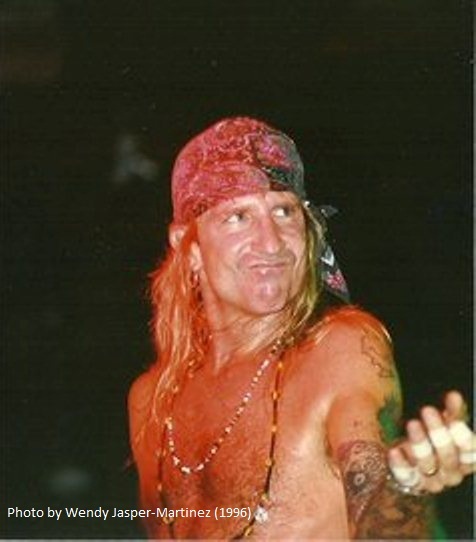 During 2010, Russell would face health problems that would remove him from performing with the band and would involve lengthy hospitalizations. 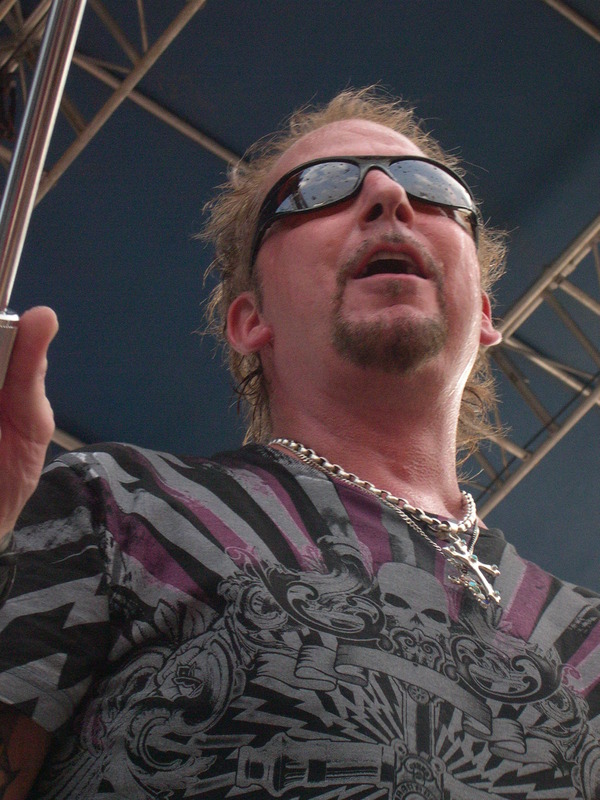 During his absence from Great White, the band continued to perform with guest singers like the late Jani Lane, and XYZ vocalist Terry Ilous, who ultimately replaced Russell in the other incarnation’s line-up. 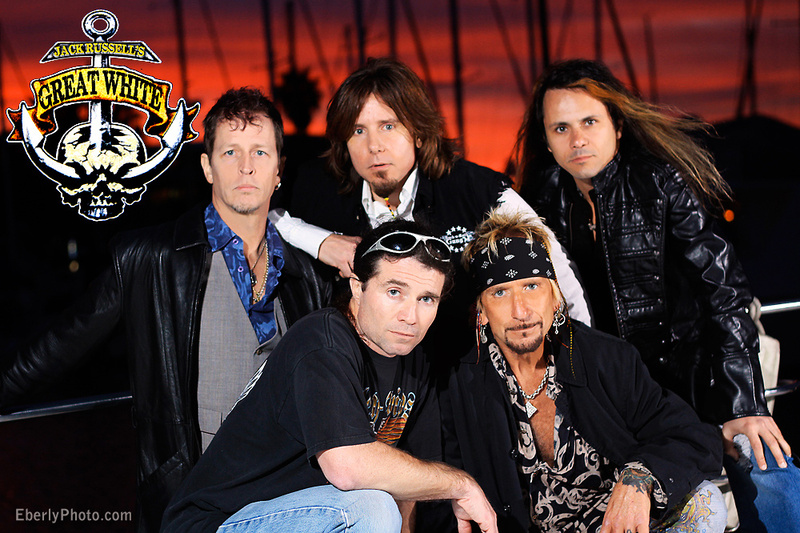 As for the Great White legal battle, in the interim, Russell will continue to tour under the name Jack Russell’s Great White. The name recognition alone will pack the venues and the fans will know that they are going to hear Great White tunes sung only as Jack Russell can sing them. And what does the future hold for Jack Russell? He thinks anything is possible. That audience not previously reached is what intrigues Russell and has him making broader plans for the future.